We all know very well that the Artificial Intelligence is undoubtedly the technology that will mark the 21st century. 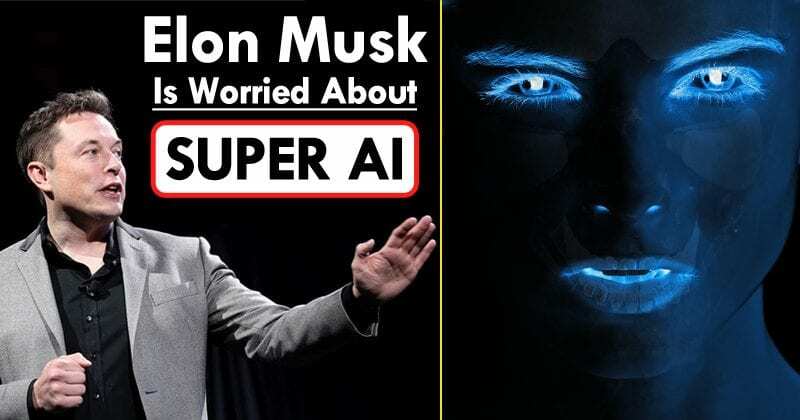 However, Elon Musk is not worried about the killer robots, as he is worried about the development of unregulated, self-learning Super AI (Artificial Intelligence). Artificial Intelligence is undoubtedly the technology that will mark the 21st century. More and more people are talking about intelligent machines, neural networks and robots that already present behaviours so close to the human being that they even look like one of us. However, as with most technology, also Artificial Intelligence presents its dangers and disadvantages. In fact, over the last few years, several experts in this field have been publicly expressing feelings of concern about the rapid advances of the agents of Artificial Intelligence. Acclaimed researcher in the field of Artificial Intelligence, Nick Bostrom, has been one of the great voices that have alerted to the imminent dangers of Artificial Intelligence. In his book, “Super Intelligence”, the author exposes several scenarios where he tries to imagine the future and decipher what impact Artificial Intelligence will have in the World. One of these scenarios and perhaps the scariest involves what Nick Bostrom calls “an intelligence explosion.” Without wishing to go into great technical detail, an explosion of Intelligence may occur when machines/computers surpass human intelligence on a large scale and achieve a problem-solving capacity that even in dreams we can not imagine. They would be so smart that they could rewrite their own software to become even smarter. The consequences of such an event are still impossible to predict. But if we had to choose a word, it would possibly be “chaos.” We humans would become a Super Intelligent Agent as today a cat or a dog is for us Simple pets. Thus, some researchers in the area of artificial intelligence point out that such an event can take place at the beginning of the second half of the 21st century. Others think computers will reach the level of human intelligence by 2030. In addition to researchers in the field of Artificial Intelligence, other personalities linked to science and technology have also addressed some words of warning and concern. One such person is Stephen Hawking, considered by many to be the most intelligent living person. It was earlier this week that Elon Musk used his Twitter account to once again alert and expose a strategy for us to be able to develop a healthy relationship with Artificial Intelligence mechanisms. The comments of the CEO of Tesla and Space X have come up with a video that has been circulating immensely on social networks lately. In this video, you can see an advanced robot that is capable of giving mortals. Although he still falls a few times, in a short time he can run after us. So, Elon Musk wrote a tweet where he shares what, in his view, should be the best solution. The real-life “Iron Man” strategy is to regulate Artificial Intelligence, just as we do with drug use and the use of public transport. Only then can we live more securely. A drastic change in the World may be for a short time and undoubtedly passes through the technological advance in the field of Artificial Intelligence. Thus, we should proceed with the utmost caution and common sense so that one day later there will not be feelings of loss. Above all, we must listen to the wisest and be attentive so that the development of Artificial Intelligence evolves taking into account the well being of the Human Being.